These sites allow you to share and show off your code. They all have live previews so other people can see your code in action. They’re sometimes referred to as “code playgrounds” or “sandboxes”. More than simply places to demo your source code in, many of them are also great tools for code collaboration and actual coding work. For example, if you need help debugging your source code, use one of these sites to share your problematic code, and then provide the link to your viewers. Doing this gives them a convenient way of being able to review your source code and offer solutions. On CodePen, you can demo your code in what are called Pens. A Pen can consist of HTML, CSS, and JS. 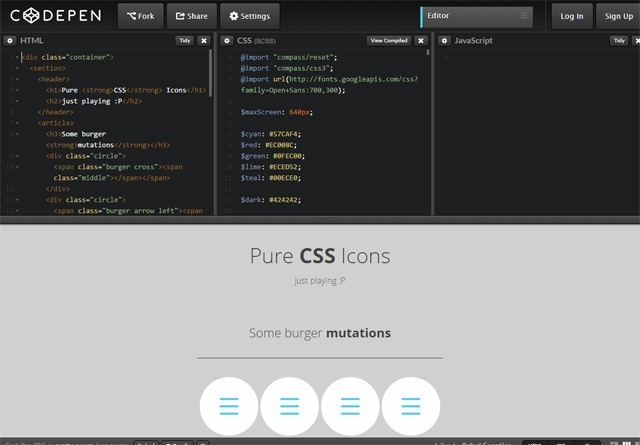 CodePen has many features that make it easy to show off your code. For example, it supports Sass and Less syntax, and the option to “Quick-add” popular JS libraries like jQuery and Angular. Check out the site’s popular Pens for inspiration. 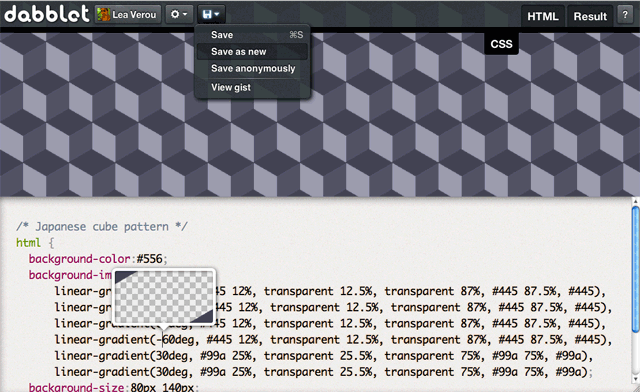 Liveweave is an excellent online source code editor. It’s also, according to the site, the ultimate playground for web designers and developers, and a great tool to test, practice and share your creations. What I like about Liveweave is how simple it is to add a third-party dependency to your demo. 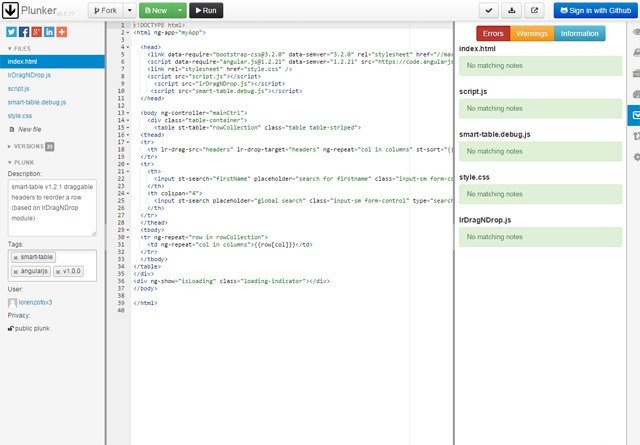 You can add Bootstrap, jQuery, or other popular web development packages in two clicks. A highlight of this code-demoing app is its ability to scale your live preview to the dimensions of mobile devices and other common screen sizes. This feature can help you debug your responsive breakpoints. Plunker is an online community for creating, collaborating on and sharing your web development ideas. Its code editor is rich in features. 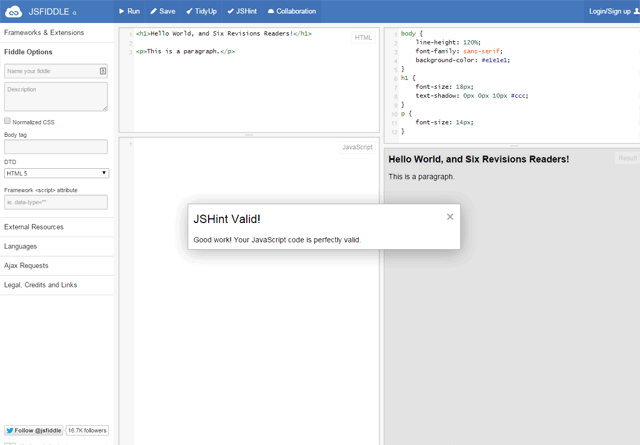 The code editor has: live streaming so people can watch you code in real-time, code-forking, user-contributed development stacks/templates, a built-in code-linting interface, and more. See the most viewed demos on Plunker. 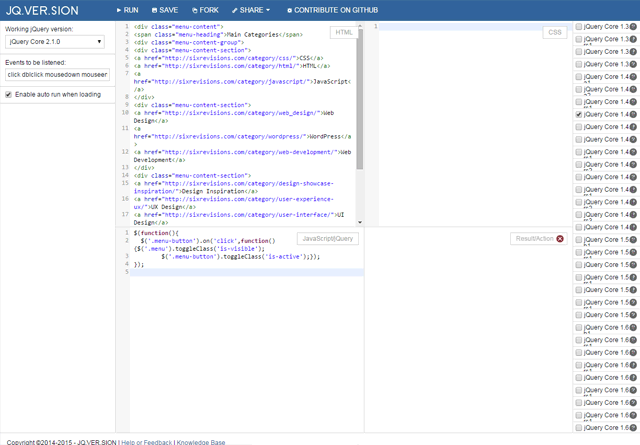 CSSDeck has a clean user interface. 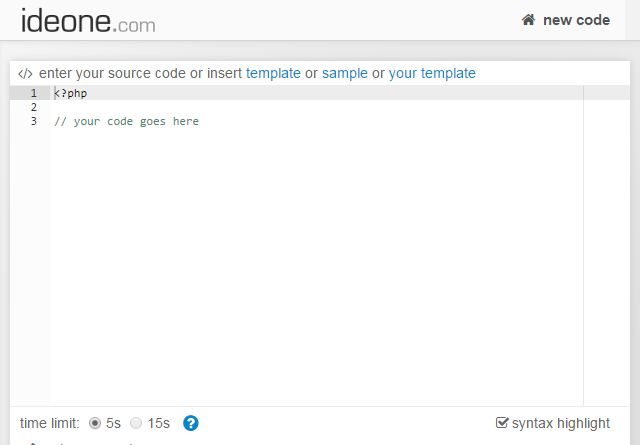 If you’re looking for a simple tool to show off your source code, this is a good candidate. People who look at your code demo can leave comments on it, but to do so, they must register an account or sign-in with their GitHub account. This is another simple tool for showing off your code. It has many JS libraries available at your disposal. 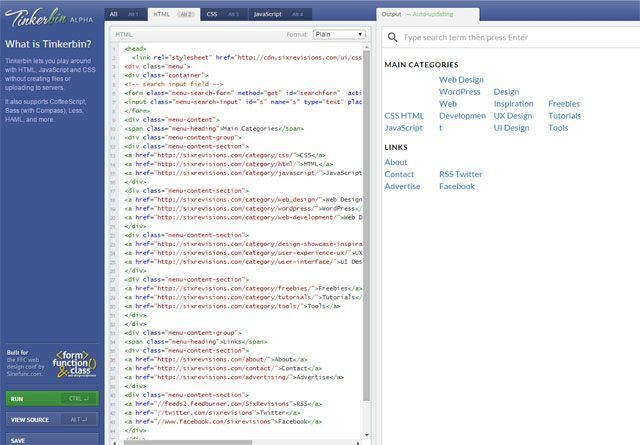 jQuery, Bootstrap, Prototype, Backbone, TwitterLib, Zepto, and much more. This simple code-sharing tool allows you to demo your server-side code (PHP, Perl, and so forth). It handles software programming languages like C++ too. When you run your code, Ideone will show you (and your code reviewers) the output of your code. It will also display the compilation errors it finds. 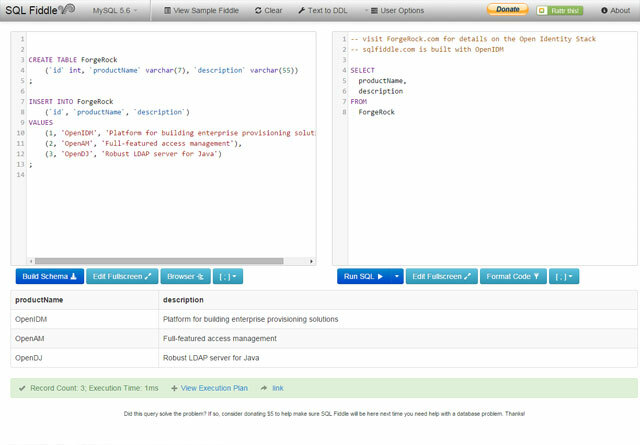 codepad is another option for demoing your server-side code. It supports programming languages such as PHP, Ruby, C, C++, Python, and more. 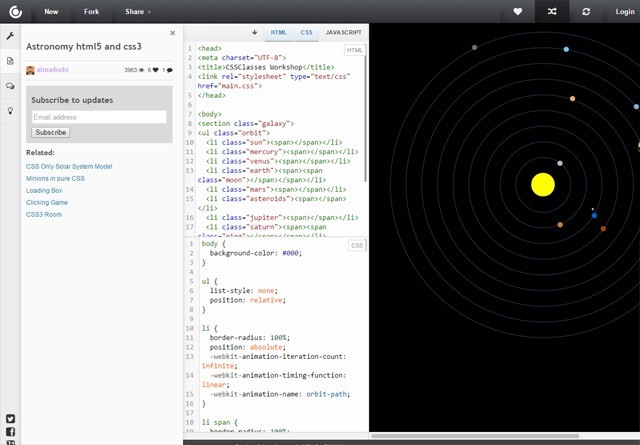 JS Bin is a feature-packed tool for your source code demos. It even has a console (command-line interface) for debugging and inspecting code. 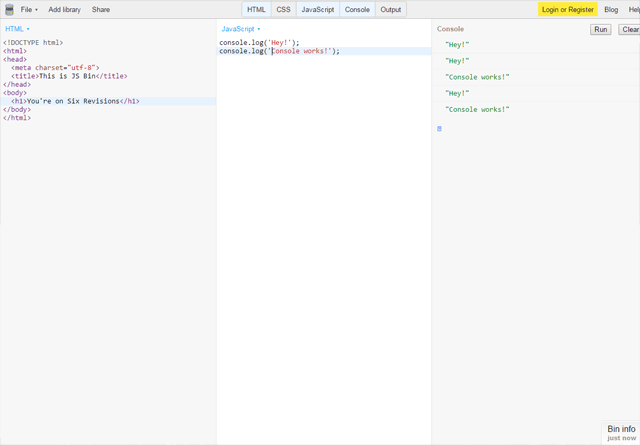 The console works much like the one in Chrome Developer Tools. Oh, and also JS Bin has codecasting. This is a great testing ground for jQuery code. 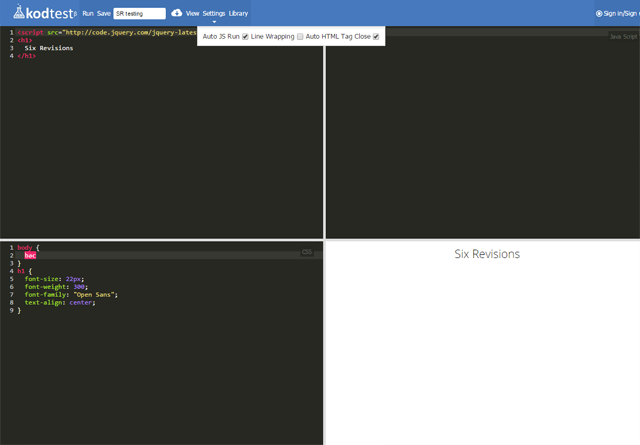 jqversion has multiple versions of jQuery — it even has release-candidate versions. SQL Fiddle is for demoing your SQL statements. It can execute MySQL, MS SQL, PostgreSQL, Oracle Database, and SQLite statements. There are a lot of sites out there which allow you to show off your source code. It’s not possible — or even useful to you — if I were to cover them all. To make this list more manageable, I created a reasonable set of requirements the site had to meet. 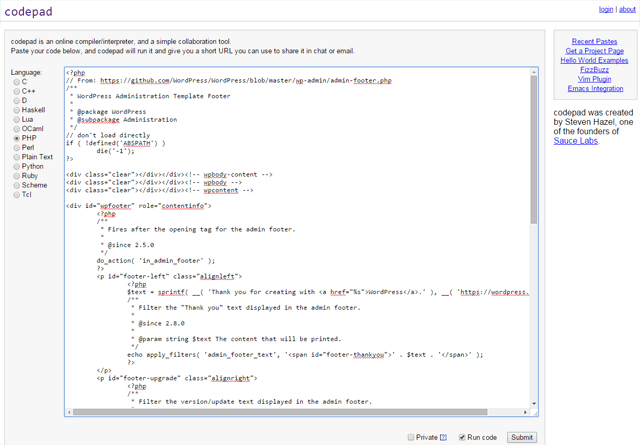 These requirements make the site user-friendly for coders who want to share their code demos. No sign-up needed to access the two features above. Account-creation adds an extra step to the process of sharing code. Also, this criterion gives coders who need or prefer anonymity the option of not disclosing any personal information. Compilr — a nice online code editor with demoing capabilities. 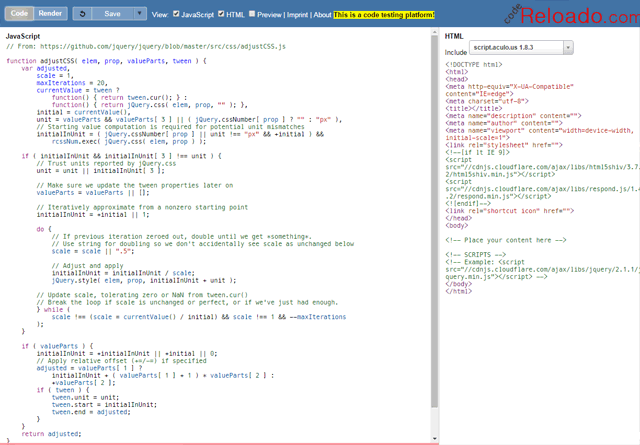 Python Fiddle — a platform for demonstrating Python code. Where Do You Demo Your Code? If you’re already using one or more of these sites please share your tips and stories on Twitter.